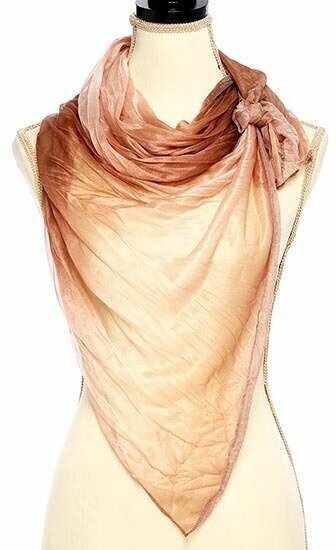 Ruffle Mesh Pleated Oblong Scarf. 100% Polyester. 25" x 66". 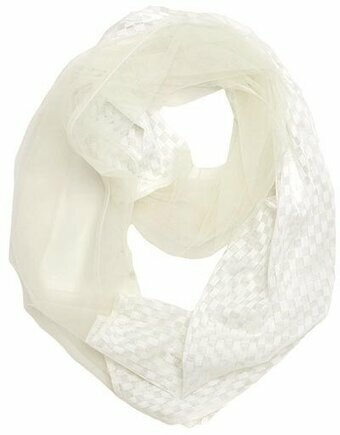 Silver Polyester Woven Mesh Oblong Scarf With Fringe. 20" x 64" + 5" Fringe.